This is a multi-functional inverter/charger, combining functions of inverter, MPPT solar charger and battery charger to offer uninterruptible power support with portable size. The Axpert inverter range offers an “All in one” solution to your off-grid solar power solutions. Its comprehensive LCD display offers user-configurable and easy-accessible button operation such as battery charging current, AC/solar charger priority, and acceptable input voltage based on different applications. This means that should you want to go completely off grid, lower your monthly energy bills or have power in the event of a power failure, you merely need to batteries and/or Solar PV. 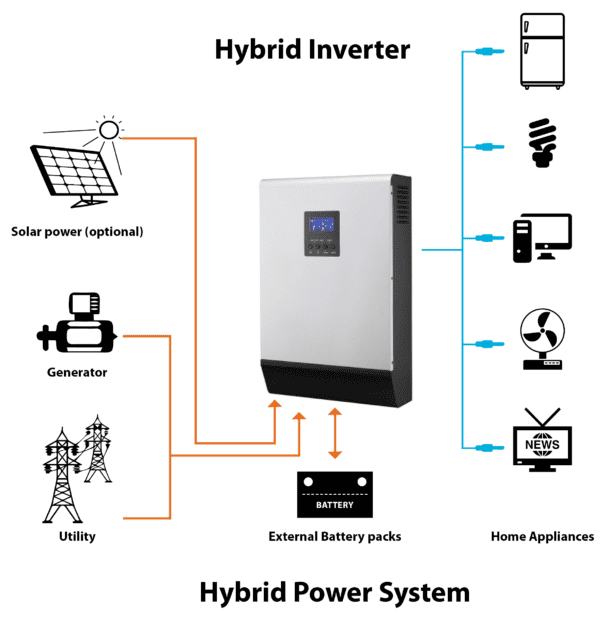 The inverter has its own built in MPPT charger, thus the system is completely self-sustaining and does not require management or user intervention. The Pylontech US2000B Plus and the US3000 are highly suitable options for both new systems and for ones that need their lead acid batteries to be replaced. The US2000B and the US3000 is a battery system, developed with their own Lithium Iron phosphate cell to ensure the highest safety value and most promising life cycle. A self-designed BMS (BatteryManagement System) protects the cell from abnormal temperature, current, voltage, SOC (State of Charge)and SOH (State of Health). The Pylontech Lithium-Ion battery has a DOD of 80% when used with the Axpert or Infinisolar inverters which compares to 50% for typical lead-acid batteries. 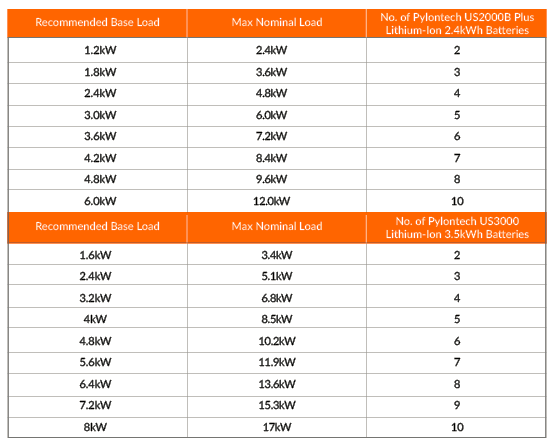 In order to provide the same storage capacity the minimum suggested replacement options, whereby Pylontech is used to replace the most commonly used 48V lead acid battery banks. If you wish to discuss your requirements with a SegenSolar approved installer local to you then please complete the Contact Form with your details and someone will make contact with you.